The Oculus Quest library will grow larger with the release of Rec Room this spring. 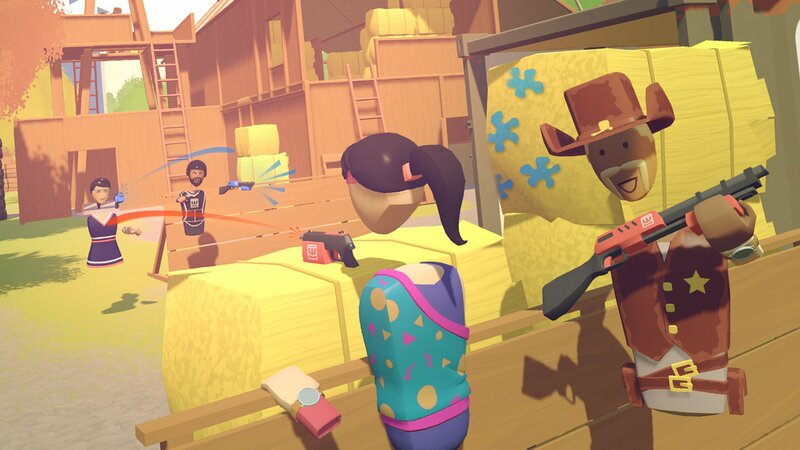 Rec Room, a party game for virtual reality headsets, is making the jump to Oculus Quest this spring. Announced via the official Rec Room Twitter, today, the quirky party game will arrive on the Oculus Quest at some point this spring. There’s no official release date for the title on the Quest, just yet, but at least fans of the virtual reality game have something to look forward to. If you’ve never heard of Rec Room, then you’re missing out. In Rec Room, players can create their own rooms, build their own little puzzles, and then share them with the world. If you aren’t a creator, then you can also dive into some of the other rooms that players have created to see what all is available in this little package. Be sure to check out the trailer above if you want to see the Rec Room in action. For those who haven’t kept up with the state of virtual reality lately, the Oculus Quest is basically Oculus’ answer to a single package VR system. It doesn’t require any kind of wires or a PC to run, allowing users to dive into the various virtual reality titles available no matter where they are. Rec Room is also available on the PlayStation 4, PlayStation VR, Steam and SteamVR. On top of being available on Oculus Quest, players who pick up the game on the Quest will be able to play cross platform with others, making the available community of players even larger. For more information on Rec Room, be sure to head over to the official website. You can also visit the Oculus site to learn more about the Quest, as well as what other exciting titles will be available on the Oculus Quest, like Beat Saber. Oculus Quest is currently set to release sometime in the spring of 2019, which means we could see Rec Room as a launch title for the VR headset.